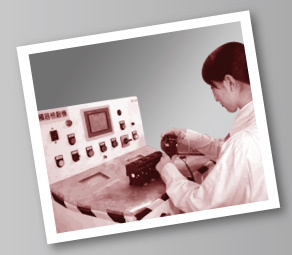 NHD was founded in Taiwan since 1979, is a leading manufacturer of magnetic switches. In1995 NHD was awarded Symbol of Excellence by the National Standers Bureau. In 1998 NHD was awarded ISO-9002 international certificate, and earned ISO-9001: 2000 certificate in 2001. NHD owns three series of magnetic switches C series, S-C series and SMC series. C-series contactor, BTH-series and NTH-series were all awarded CE certificate by TUV. C-series magnetic switch was also awarded such as UL, CSA and CE certificate. Since 1995, NHD has progressively developed Europe Terminal Block. So far, Rail Mount Terminal Block has developed 4 different types of Terminal Block including Double Deck Terminal Block. We developed control unit since 2005 and finished molding in 2007. As for the pilot lamp, we use LED bulb which we utilized our technic to overcome the residual voltage and the interference by in rush current problems, this technic got the patent. The control unit got both cULus and TUV approval, accepted by the market continuously as well. Then we got the CSA approval in 2014. NHD kept developing the related products of control units, and finished all kinds of cam switch mold in 2008. Meantime, we are the first one who made came switch with keys together, because of this unique cam switch, NHD got CE approval and ISO-9001 in 2009 as well as the UL approval. Continually, we developed the 1/2/3/4 pole control stations in 2011, which are high dust and water proof “IP66” and approved by ETC, furthermore, the impacting level reaches the high standard. In 2014, we released the LED tower light which quality is excellent as our other products. In 2016, we passed ISO 9001: 2015.